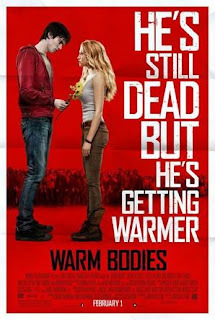 It's not the latest Shaun of the Dead or Zombieland, but it does the trick in terms of fresh rotting zombie fare "with a twist". it's actually quite adorable and dare I say cute, with good pacing and relatively good cinematography given the budget. Seeing familiar places from Montreal making cameos was also a pleasant touch, and the whole Romeo & Juliette angle along with all the other little jokes are very welcome. With all the vampire romance fiction out there, it was really fun to see the zombies get their share of romance and 'heart warming' adventures. Overall very welcome, and the addition of Rob Corddri and John Malkovich only serve to make the package even more appealing. definitely worth your time.